a coconut-scented matte bronzer for the ultimate sunkissed glow! sun club large bronzing powder has a rating of 4.4 stars based on 52 reviews. 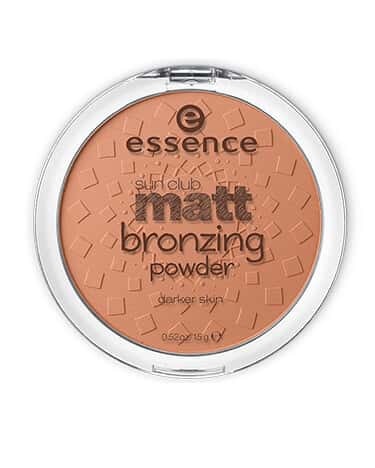 Extend your summery sun-kissed glow with this matte bronzing powder. Available in 2 radiant shades. 1. For a contoured look, apply color by tracing a "figure 3" on the outer side of the face from the forehead down towards the cheeks and downward along the jawline. 2. For a contoured look, apply color by tracing a "figure 3" on the outer side of the face from the forehead down towards the cheeks and downward along the jawline. 3. For a contoured look, apply color by tracing a "figure 3" on the outer side of the face from the forehead down towards the cheeks and downward along the jawline. 4. For a contoured look, apply color by tracing a "figure 3" on the outer side of the face from the forehead down towards the cheeks and downward along the jawline. 5. For a contoured look, apply color by tracing a "figure 3" on the outer side of the face from the forehead down towards the cheeks and downward along the jawline.